*Shortlisted for the PEN/Diamonstein-Spielvogel Award for the Art of the Essay*Selected as a Book of the Year 2016 by the Financial Times, Guardian, New Statesman, Observer, The Millions and Emerald Street'Flaneuse [flanne-euhze], noun, from the French. Feminine form of flaneur [flanne-euhr], an idler, a dawdling observer, usually found in cities. That is an imaginary definition. 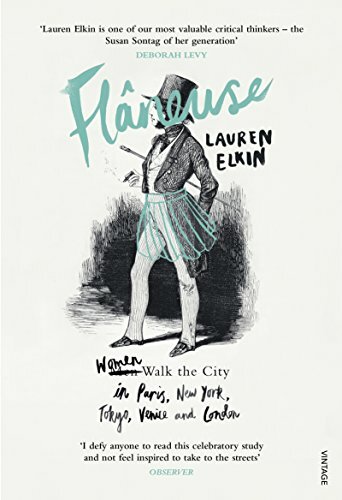 'If the word flaneur conjures up visions of Baudelaire, boulevards and bohemia - then what exactly is a flaneuse? 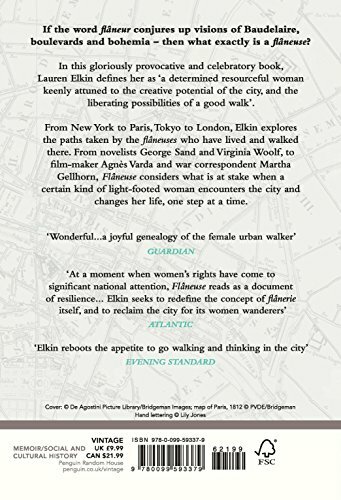 In this gloriously provocative and celebratory book, Lauren Elkin defines her as `a determined resourceful woman keenly attuned to the creative potential of the city, and the liberating possibilities of a good walk'., Part cultural meander, part memoir, Flaneuse traces the relationship between the city and creativity through a journey that begins in New York and moves us to Paris, via Venice, Tokyo and London, exploring along the way the paths taken by the flaneuses who have lived and walked in those cities. From nineteenth-century novelist George Sand to artist Sophie Calle, from war correspondent Martha Gellhorn to film-maker Agnes Varda, Flaneuse considers what is at stake when a certain kind of light-footed woman encounters the city and changes her life, one step at a time.